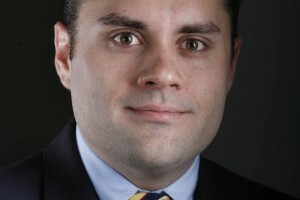 Aaron Sharockman is editor of PunditFact, a website dedicated to checking claims by pundits, columnists, bloggers and the hosts and guests of talk shows. Prior to that, he served as Deputy Government & Politics editor for the Tampa Bay Times and an editor and writer for PolitiFact. He has been a government and politics writer with the Times since 2003. Sharockman is a graduate of Indiana University. PolitiFact is an independent fact-checking journalism website aimed at bringing you the truth in politics. PolitiFact’s reporters and editors fact-check statements from the White House, Congress, candidates, advocacy groups and more, rating claims for accuracy on our Truth-O-Meter. Every fact-check includes analysis of the claim, an explanation of our reasoning and a list of links to all our sources. PolitiFact tracks President Barack Obama’s campaign promises on our Obameter. PolitiFact won the Pulitzer Prize in 2009 for its fact-checking of the presidential election.